Just a little over a week to go until we can get on that bus to Sweden, so it’s time for us to bring you a few small updates on Pack4DreamHack Winter 2016. We’re almost through with our list of passengers, which means our ticketshop for this winter’s trip will close soon. For those of you who still haven’t bought a ticket and really want to go with us, you have until tomorrow (Wednesday 15-11-2016) morning 11:30 AM CET to buy your ticket. After that we will close the shop and finalize our list of Packers. 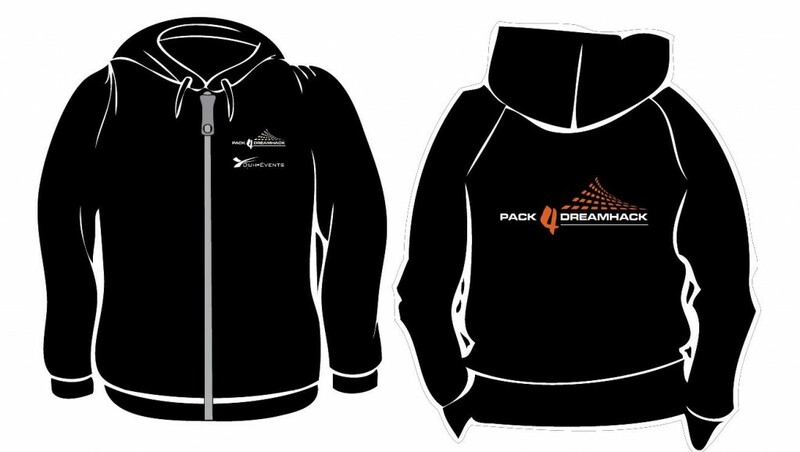 We have reached our quota for the Pack4Dreamhack Hoodies, meaning everyone who bought one will receive their hoodie to keep them warm during DreamHack. We told you to wait a bit on the official design of the hoodie and now we can finally reveal it! You will receive your hoodie (in your given size) on our bus or at one of our Pick-up Points on our way to Sweden. In our Dutch row at DreamHack we have a few switches located to connect your computer to the internet, but it might just happen your network-cable is just a few meters short, or you might not even have a cable at all. Netwerkwinkel.com offers cheap deals on 15m and 30m UTP-cables so you don’t have to go on a last-minute scavenger hunt for internet-access. If you bring a laptop with you, you might want to consider investing in a lockcable for laptops. We can’t guarantee everyone is as nice as we are, so it’s better to be prepared for the worst.